If you haven’t had a chance to stop by your local bakery or any of the Christmas markets around the city, then you’re really missing out! December is the best time of year for delicious sweets, pastries, cakes and other delicious sugary treats! 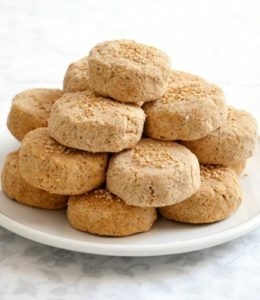 Some of them are a little complicated to make and it’s best to leave the baking to the professionals, however Mantecados or Spanish Crumble Cookies are a great introduction to Spanish baking! 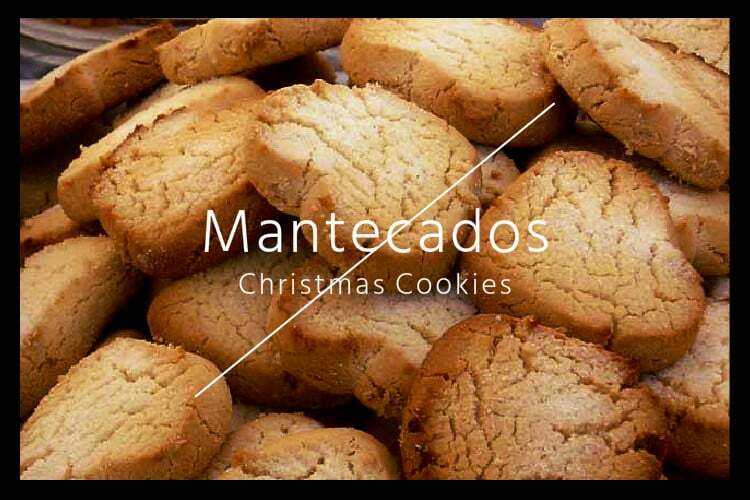 As with most christmas sweets, the mantecado is far from healthy, with it’s name originating with the word “mante” which means lard. But it’s Christmas time and that means that it’s perfectly ok to spoil yourself! The Mantecado recipe dates all the way to the 1800’s in Andalucia. There are a few stories about it’s origin which has resulted in some major rivalries between Antequera and Estepa – who both claim to be the inventors of the treat. As the story goes, one of these villages have an excess supply of flour and lard and wanted a way to use this resource for profit. Eventually, the Mantecado was created and became an instant commercials hit when it was brought overseas to the colonies! 2) Add 2 eggs yolks to the mix. You can add some lemon juice, cinnamon, vanilla extract – anything you want in your cookies! Mix everything together well. 3) Add 2 cups of flour until the mix is thick and smooth – feel free to add chocolate chips, almonds or whatever you can think of! 5) Place in the oven at 325 degrees (160) for 20 minutes. Enjoy!